Our vision is that handicrafts should have a natural place in everyone’s daily life. Hemslöjden, the National Association of Swedish Handicraft Societies is a non-profit organisation, which for over a hundred years has worked to highlight the value of creative handicrafts. The association includes both regional and local handicraft societies. Around 14,000 people are members of one of the 90 societies all over Sweden. As a member of a handicraft society, you make a difference. Through the society, you can meet others interested in handicrafts and craft together. We inspire each other and invite skilled craftspeople to come along and contribute to deepening knowledge. You can participate in activities or even contribute through practical work in the society. You are warmly welcome, regardless of whether you want to craft or want to support creative handicrafts. By arranging courses, exhibitions, lectures and other activities, Hemslöjden works with the development of handicrafts to become an obvious player in the cultural and business sectors. Hemslöjden covers knowledge and natural materials, reuse and creation of sustainable objects. During the first weekend of September each year, handicraft societies open their doors and take to the streets and town squares as part of a 24-hour handicrafts drive. Hemslöjden issues the ‘Hemslöjd’ magazine, Sweden’s largest magazine for the handicrafts. Hemslöjden arranges Handmade Issues – a concept and event where handicrafts are discussed in their own right. The Hemslöjden publishing house enables Hemslöjden to publish books containing in-depth knowledge about handicrafts. The Digital Museum contains Hemslöjden’s collections, which are part of our cultural heritage. The National Association of Swedish Handicraft Societies manages a number of scholarship foundations and funds for distributing scholarships. Together with Leksand Municipality, Hemslöjden is trustee of Sätergläntan – the Institute for Handicrafts. Sätergläntan is an education provider and a meeting place for handicrafts. Hemslöjden is the trade body for the handicraft professions of hand weaving, knitting, embroidery, woodwork and pottery, meaning we assess applications for journeyman licences and craftsperson certificates. The National Association of Swedish Handicraft Societies is a member of the Nordic Handicraft Association and the European Folk Art and Craft Federation. Handicraft organisations meet at conferences and seminars to exchange ideas and inspire each other. Today, there is a noticeable increase in interest about handicrafts and handmade items. This is clear from social media feeds and the press. Television programmes and debates draw attention to the possibilities of the handicrafts. Shop collections are inspired by the shapes and patterns of handicrafts. The feeling of authenticity and great knowledge of how to make things by hand has created this new major interest in handicrafts. In a future where integration, equality, sustainability and diversity are a given, handmade creations will be an important contribution to a sustainable society. For the individual, it means being able to transform creative ideas into practical actions which in turn provide everyone with an opportunity to influence their environment and present. This knowledge creates self confidence and contributes to a sense of community that spans the generations, as well as a deepened and material democracy. This is why we are convinced that Hemslöjden can be part of saving the world! What can Hemslöjden do for me? Throughout the networks and members of the handicraft societies, there is a wealth of knowledge about the discipline and handmade creations. You can discover different tips and ideas, and share your own with others. The societies arrange courses, meet-ups, exhibitions and other activities. As a member, you are part of the work to safeguard and develop handicraft techniques and knowledge as an important aspect of cultural heritage. What can I do for Hemslöjden? Become one of around 14,000 members and share your knowledge and learn from others in a network of people who share your interest in handicrafts. 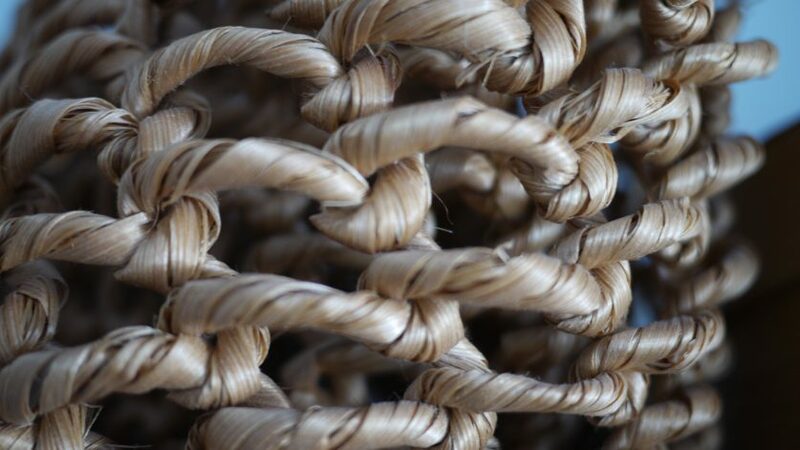 Regardless of whether you weave baskets from birch roots, or craft using birch bark; knit or embroider, or simply want to learn how to carve a spoon, you are welcome to join a handicrafts society. Together we know how handmade creations can contribute to a sustainable society! The Swedish handicraft movement was first established over 100 years ago, as a kind of protest against the spirit of the time. Lilli Zickerman was the first to create an organised form for handicrafts. Her idea was that handicrafts had room for professionals and amateurs alike, and that both culture and industry played an important role in the survival and development of handicrafts. She believed that the people who lived in the age of self-sufficiency had invaluable knowledge about how the objects people needed are actually made, the tools and materials that worked to create the best utility goods. She also thought that if this knowledge was to survive the advance of industrialism, the objects needed to be adapted to the times. In 1899 Föreningen för Svensk Hemslöjd was formed – the first national association for handicrafts. Between 1904 and 1912, around 20 handicraft societies were started up all over Sweden. In 1912, The National Association of Swedish Handicraft Societies was formed as an umbrella organisation for Sweden’s handicraft societies.